This San Francisco-based industrial/metal crossover band is back from a hiatus since 2010 with a new album due for release on November 12. 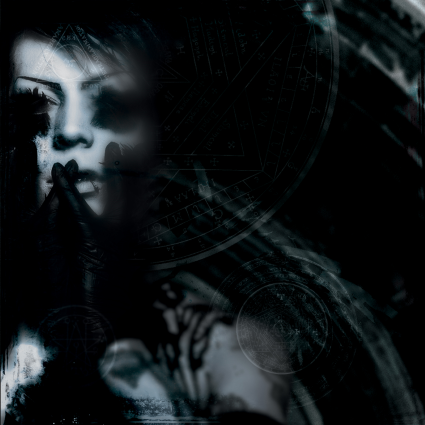 There are 13 tracks, almost strictly for those in the head-banger (if that term still has meaning) crowd who are willing to accept techno-industrial elements on the menu. There’s a fair amount of variety in this album. Several tracks are noted to begin with or have variable stretches within them consisting of formless, wind-like electronica and distant menacing samples. Numerous songs contain frantic, gasping vocals synchronized to artillery-like, pounding beats and are very danceable. Other tracks like “Suffer Well” and “Glamor Through Debris” employ death metal forms, such as machine-gun-fast vocals that are aggressive to the point of being vicious, but are better to dance to than your usual heavy metal. Track12, “Penance” is barely a minute long and consists of wind-like noise without melody or rhythm, and then a brief noise bridge that could be the sound of two locomotives being violently slammed together numerous times before lapsing back into relatively soothing noise. Track 9, “But With a Whimper,” contrary to T.S. Eliot’s line “…the world ends, not with a bang but a whimper,” contains a couple of series of loud bangs separated by desperate whispering, and is definitely not for dancing. The final track, “The Saint and the Valentine” comes as an astounding melodious departure from the rest of the album, with pitch-dark minor-key symphonic elements and moments of pleasurable, carefully sung vocals in a theatrical whisper alternating with the abrasive screaming heard on the rest of the album. Heavy metal is neither my favorite, nor my forte to evaluate. “Order of the Shadow [Act I]” has definite redeeming features, although it is not going to be within everybody’s comfortable listening zone. The best thing I can say about it is that it sounds like Skinny Puppy died in a horrible accident, went straight to hell, connected with some metal heads and from there produced this brutally seductive album. “Leaving Babylon” is used to exhort Christians to leave the sinful world behind and to refuse to participate in political and social life. I would venture that Covenant meant some other variant of meaning. I will leave the interpretation to the reader/listener. The title track comes in two forms. As the first track, it is a mere 3.2 minutes long and opens with indistinct samples as if one were eavesdropping on a newscast, followed by bare-bones percussion one might hear from banging on a trash can lid a la Skinny Puppy or Einsturze Neubauten. Soon a slow-paced cadence supersedes and the title is repeated again and again as a disconsolate mantra. “Leaving Babylon II” is the seventh track and consists of a slow-paced monotonous10 minute zombie walk, I perhaps through a virtual cemetery. “Last dance” picks up the pace and eventually evolves into symphonic, electronic strings and full-throated but grief-stricken vocals. “Thy Kingdom Come” begins with a mournful acoustic guitar then proceeds into a lush melody and dire lyrics sung over a moderately-paced rhythm providing a showcase for Simonsson’s uneasy, stressed-out vocals. “Prime Movers”—in ancient and medieval philosophy—is the term that refers to the creator of the universe, and was once employed by Aristotle and Thomas Aquinas as proof for the existence of a god. I can’t say exactly how the title was chosen by Covenant, but this track has a nice galloping pace, combined with a recurring synthetic riff that will pull everyone irresistibly onto the dance floor. The 6.5 minute track, “Ignorance is Bliss,” starts with an eerie high-pitched drone of strings hanging over the introduction, with delicate synthesizer notation soon taking over as doleful singing brings it all together. A bridge of jubilant chimes intervenes, then a brief, bare-bones, techno-industrial run with simple vocals before the strings, vocals and compelling rhythm rise again in a grand crescendo to which the chimes gloriously return. The effect is an uplifting, emotionally triumphant experience. “For Our Time” is real change of pace, with few if any techno or industrial conventions. It is sparse on instrumentals, relying heavily on Eskill Simonsson’s deep dark and up-front vocals. “I Walk Slow” begins with the Eskill Simonsson’s intimately addressing the listener in pained, troubled whispers, his sad words punctuated by simple, sympathetic guitar strumming and disorienting bursts of static. “Auto (Circulation)” returns to the driving, techno-industrial style that won’t allow the listener to sit still, so compelling are the seductive beats. The final track, “Not to Be Here” is a lusciously beautiful, romantic, but anguished ode with a wistful narrative of the kind that sometimes motivates those on the dance floor to square off, embrace and dance two-by-two. 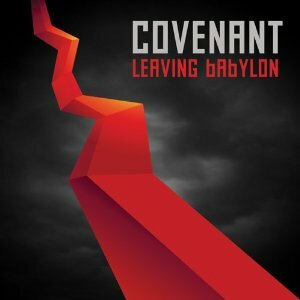 Whether one is looking for classic Goth, hard-core industrial, dark themes or uplifting, triumphal anthems, Covenant has put all these qualities together in their latest, must hear/must have album. This coming February will mark 30 years of fervid fan status for me and my circle of musically-worldly friends and family. First appearing at the 1984 San Remo Festival held in the Riviera resort town of the same name, this incredibly talented and charismatic punk Roman kid in a motorcycle jacket has been catapulted to the top of the pop music world. At this time, with no less than ten hugely successful albums, he is a household name everywhere from Germany and his native Italy to the farthest reaches of Latin America and Canada. Even in the USA, where Italian pop singers are a neglected genre, he easily sells out such venues as Radio City and the gargantuan Barclay Center, as he did just recently, coming off a previous night’s sell-out crowd in Atlantic City, NJ. For his legion of fans, virtually every one of his hundred or so songs (the majority of which he co-writes) is a stand-alone single hit. The vast body of Ramazzotti’s ouvre is sung in Italian which he enunciates with impeccable, music-friendly diction, delivered with a level of emotional sincerity as well as compositional genius that is a special pleasure to listeners of any linguistic stripe. Most of his albums are reproduced in Spanish versions. His worldwide stature has such stars as Cher, Santana and Wyclef Jean eager to sing duets with him. As on every previous appearance, Ramazzotti’s stage show included a fabulous light show and mammoth orchestral presentation, accompanied by virtuoso performers on percussion, bass, guitars, keyboards and sax along with deliciously talented female and male back-up vocalists. 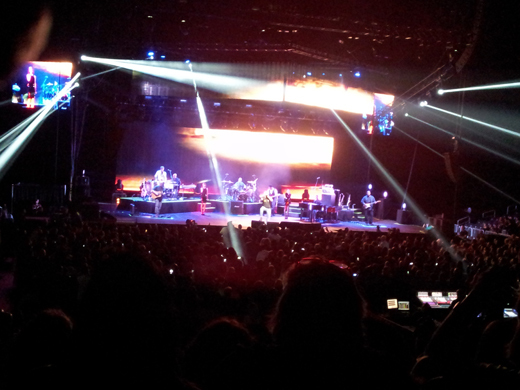 Ramazzotti himself proved to be by now a dedicated and surprisingly accomplished guitarist. Despite all these positives that Eros Ramazzotti had going for him, the overall experience of the concert was mostly disappointing. After opening with a handful of well-arranged singles from the 2012 hit album, including the title track, “Noi” (“Us”), he went to his standard repertoire. That’s where the concert went wrong. Instead of warm, respectful renditions of these beloved songs, they were delivered in a bombastic style, the band playing melodies and rhythms that actually competed with and contradicted that of the song being sung. Instead of full versions, Ramazzotti strung together inadequate, amputated versions into quick-fix medleys that short-changed the originals. Most egregious of all was the casual and off-handed inclusion of a mere fragment of “Terra Promessa,” his uber hit about coming to America, that would have been perfect for special presentation to this American audience, most of whom trace their fandom to this, his debut hit. For his part, Ramazzotti inappropriately revealed an objectionable fatigue and distaste for his own repertoire by talking, rather than singing the lyrics, without respect to the cadence of the music and by unpleasant lapses into falsetto. One of the few songs he treated at least respectfully was the magnificent “Musica E,” which was performed in its classic mode, although he could have devoted more to this monumental work. Newcomers to the music must surely have wondered why there existed such devotion to this chaotic mish-mosh of excessively and inappropriately overstated blues and jazz that completely swamped and obliterated the character of the music. The old, die-hard fans were so ecstatic to just see their musical idol live that most seemed oblivious to his failure to deliver on their expectations.